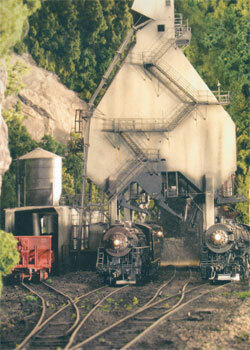 A collector’s edition and gift for you or the model railroad enthusiast you love! 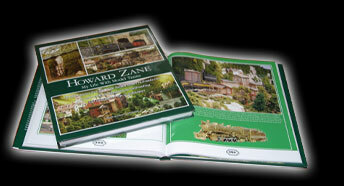 “My Life with Model Trains” is a journey inside the hobby told only as author and master modeler Howard Zane can. It is a feast for the imagination and mesmerizing read for anyone who ever wanted to “play with trains” -- serious hobbyists and enthusiasts, collectors of railroadiana, appreciators of the fine art in design and technique -- and all the dreamers and wannabes with yearnings still stirring from the model trains of their youth. Howard Zane’s 2,850 square foot “Piermont Division” showcasing his artistry in model railroad building and design, is acclaimed as one of the finest and largest private layouts in the country. Exquisite “eye level” photography pulls you into the world of the Piermont, over 22 scale miles of track, past the historically accurate architecture, scenery, trains, and vignettes of mythical towns in a romantic recreation of another time and place – inspired by Northern West Virginia in the ten years from the end of World War II to the mid-Fifties. You can almost hear the rumbling of trains on the tracks. There is no other book like it, inviting you in to share the personal experiences of one of the most prolific master model railroaders and scale structure designers in the country. A captivating story-teller, Howard shares humorous tales chronicling his life as a model railroader, hobby shop owner, a purveyor and expert appraiser of brass trains, and his 25 years as co-producer of "The Great Scale Model Train Show", the largest show of its kind in the country. Copyright © 2006- Howard Zane. All Rights Reserved.